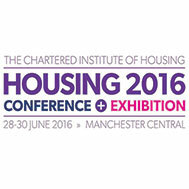 Housing 2016 takes place 28-30 June at Manchester Central. It is the largest housing-focused event in Europe and 2015 saw record numbers of delegates and visitors through its doors. This is the only event in the sector to bring together housing associations, local authorities, housebuilders, funders, contractors, advisors and is as always in the Housing Minister’s diary. Visit CIH Housing this year alongside more than 8,000 housing professionals to examine what the future holds for housing. Steon Lighting will be exhibiting on stand E61 where we will be showcasing our latest products and lighting controls distributed to Housing Associations nationwide. Read some of our latest case studies here – http://steon.com/category/projects/.